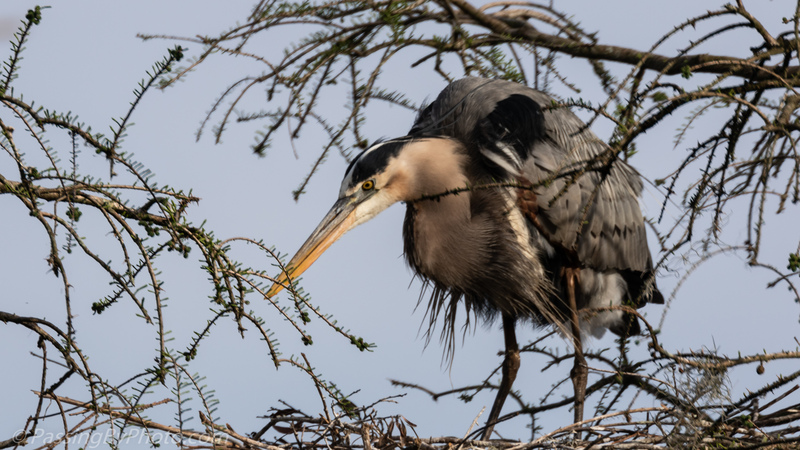 A few dozen wading birds had gathered for easy pickings of fish in the low water as the pond was draining for repairs to be made to the outlet piping. 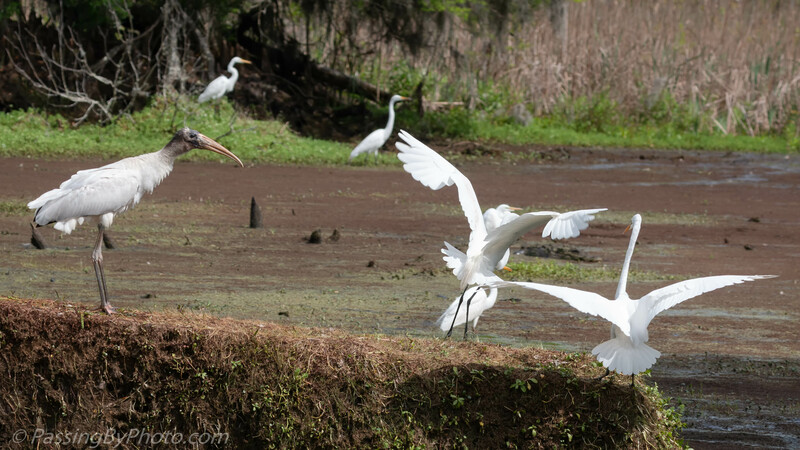 A Wood Stork had the newly exposed Alligator ramp all to himself and wanted to keep it that way. 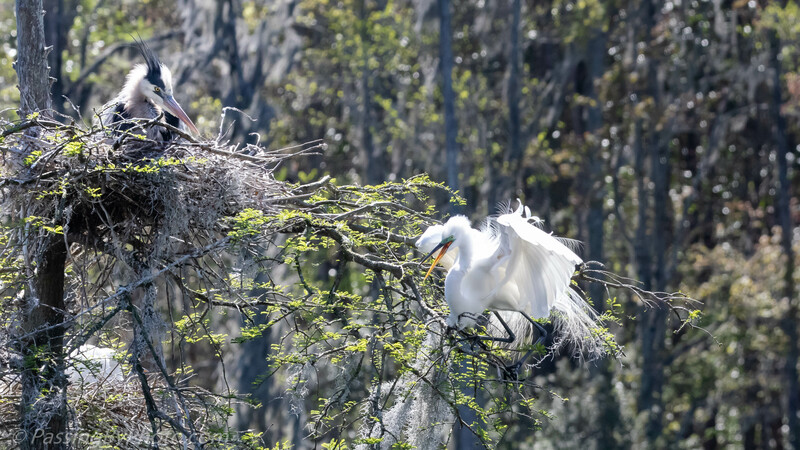 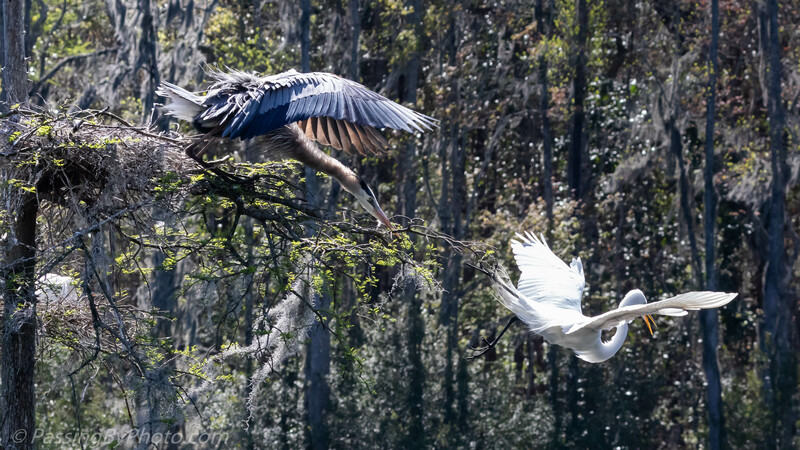 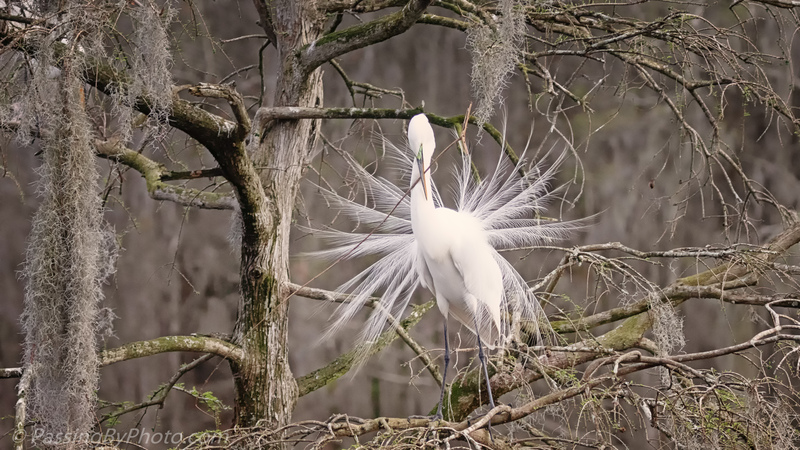 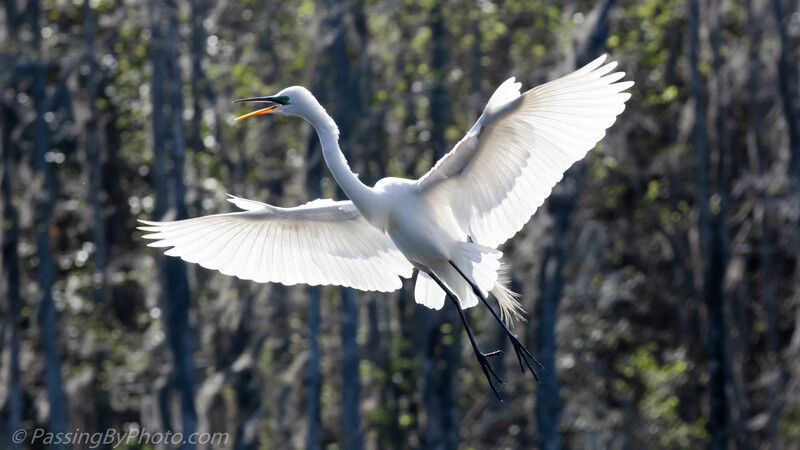 A few of the Great Egrets were squabbling over a spot on the ramp while The Wood Stork stood his ground on the high end. 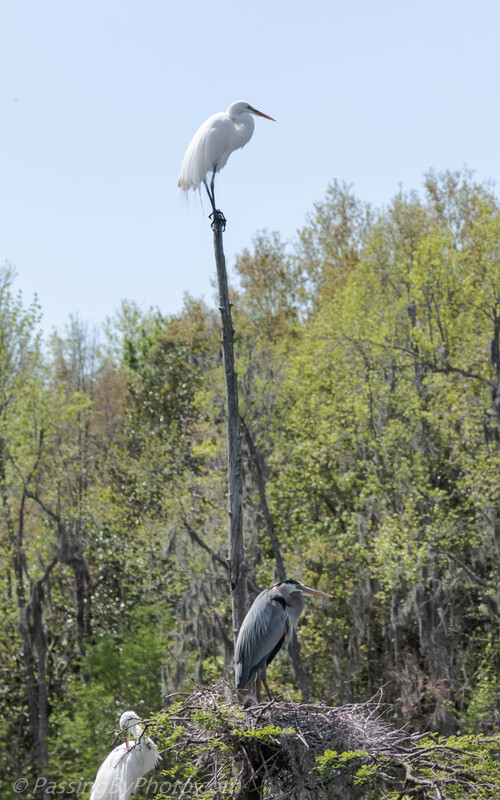 They all settled in a truce, for a few minutes. 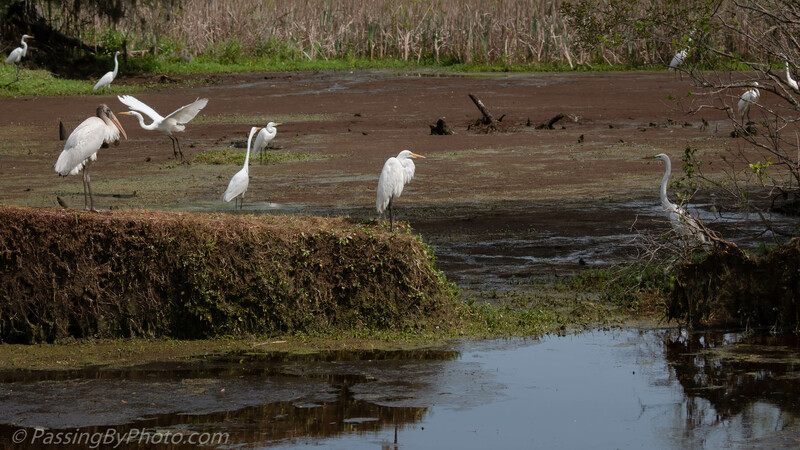 The water level in this pond is normally maintained at about three feet (1 meter) in this section, leaving just the top of the ramp exposed. 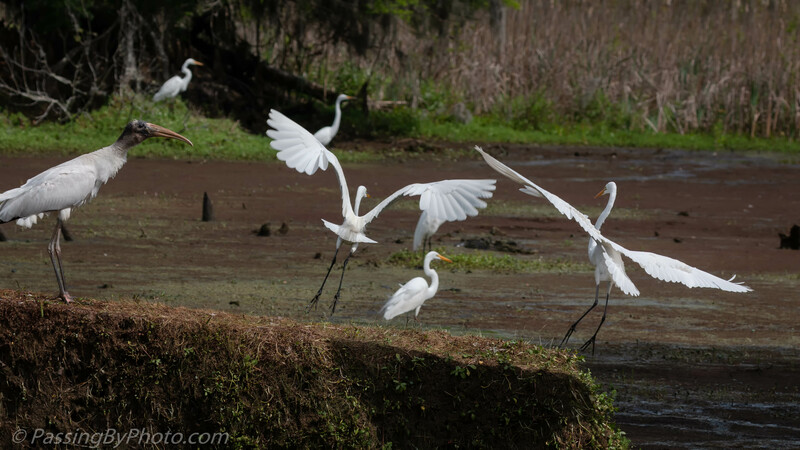 The duck weed, mosquito fern and other aquatic plants settled in a drape over the Alligator ramp as the water drained out. 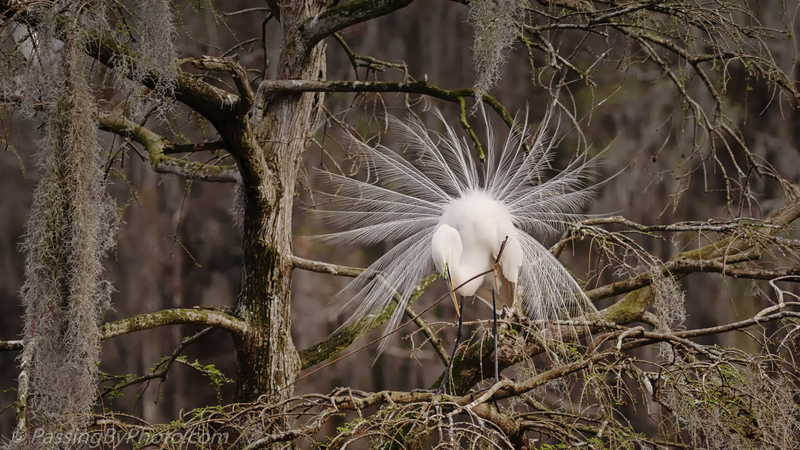 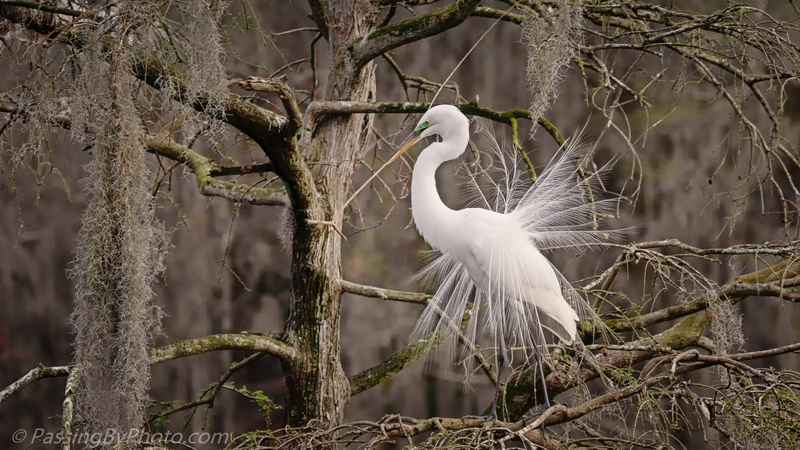 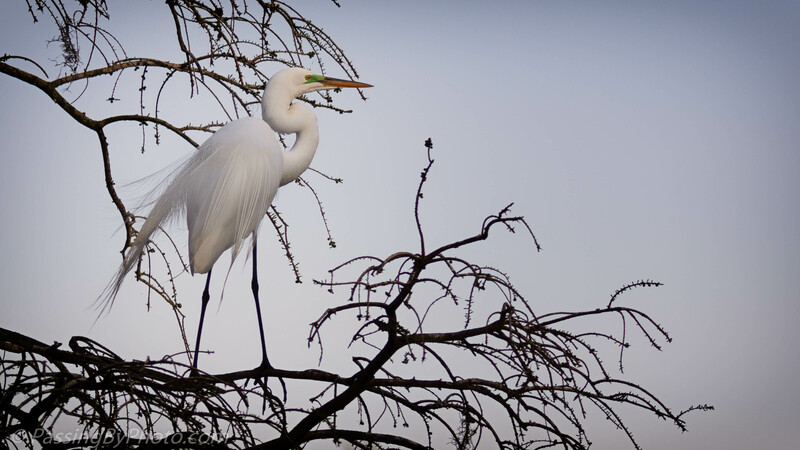 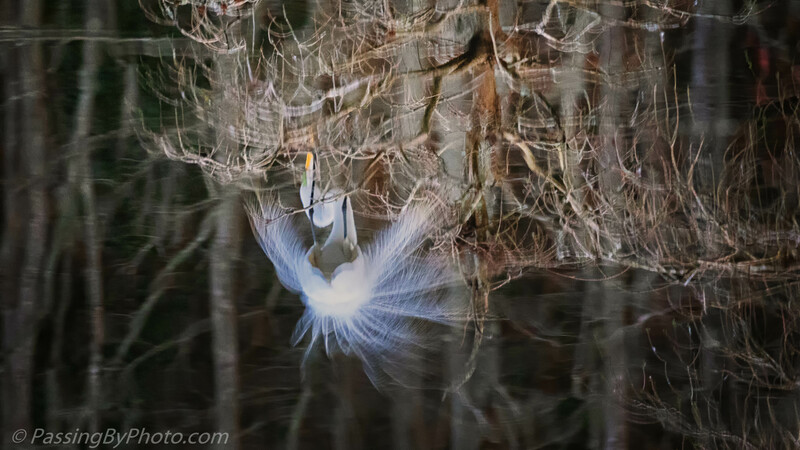 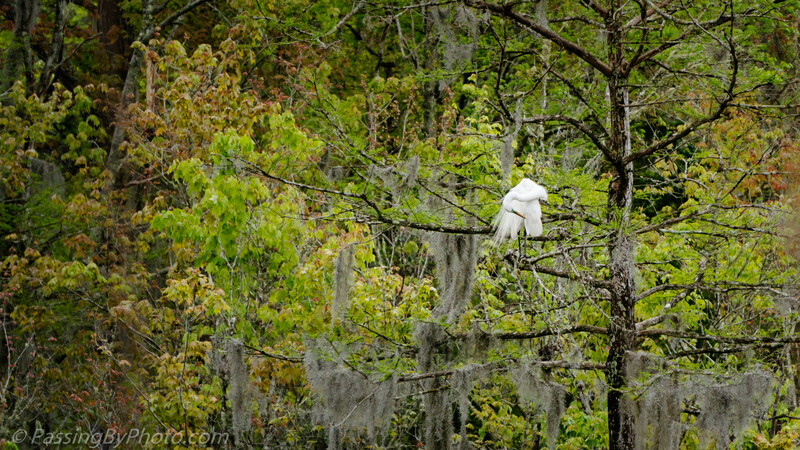 A Great Egret with breeding plumage looks out over the swamp at the end of the day. 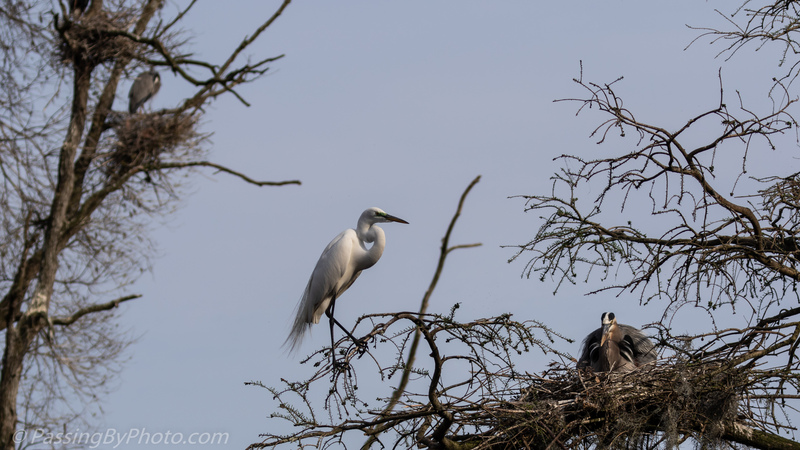 Taken March 10th, the tree is starting to show some buds. 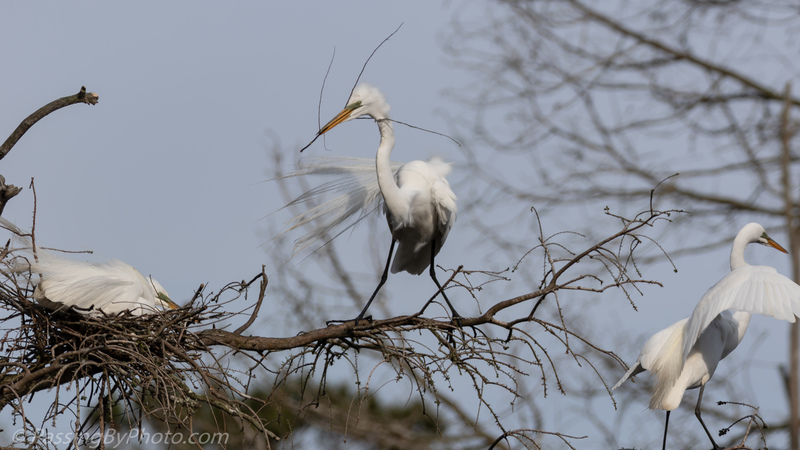 Sometimes the best nesting material is the hardest to procure. 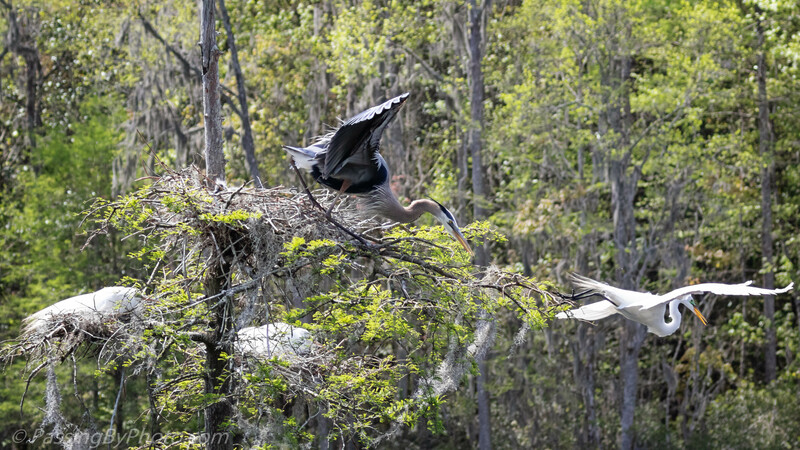 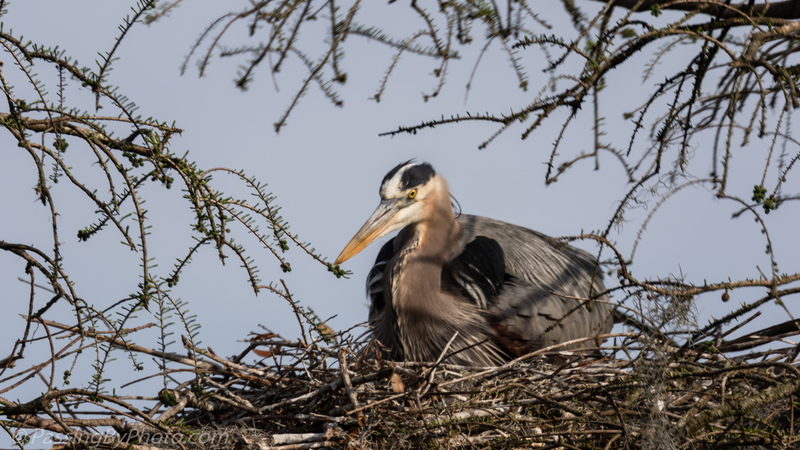 This Great Blue Heron was snoozing on the nest when I came along. 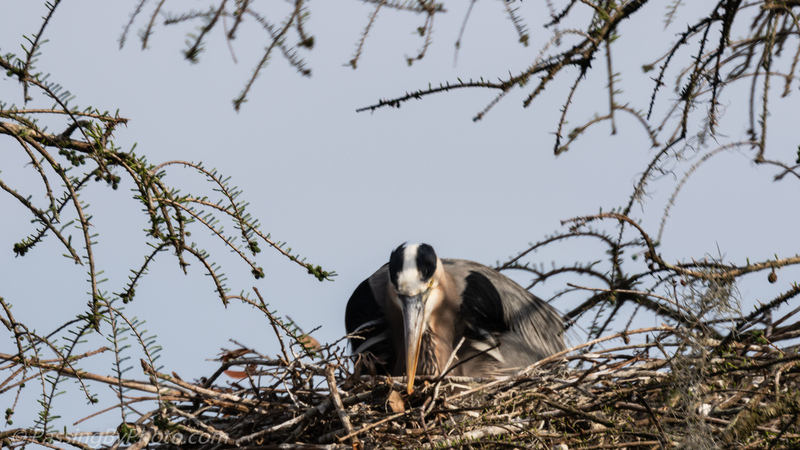 I was happy to see that the tree is showing some life with some green needles appearing. 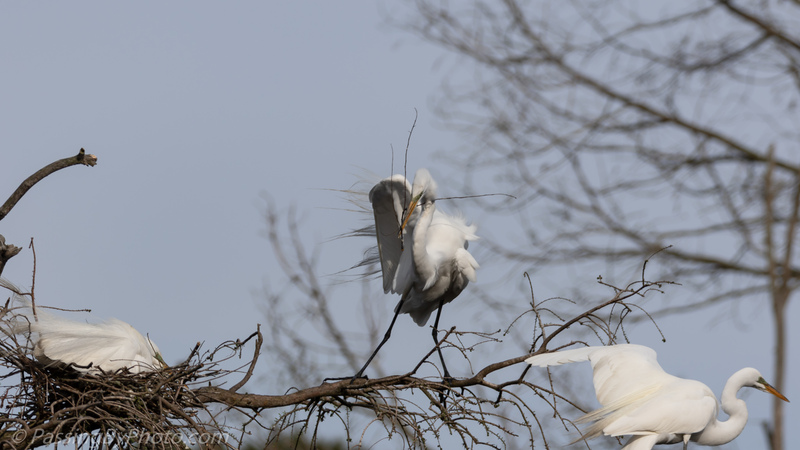 At one point the heron got up, stretched and ruffled himself. 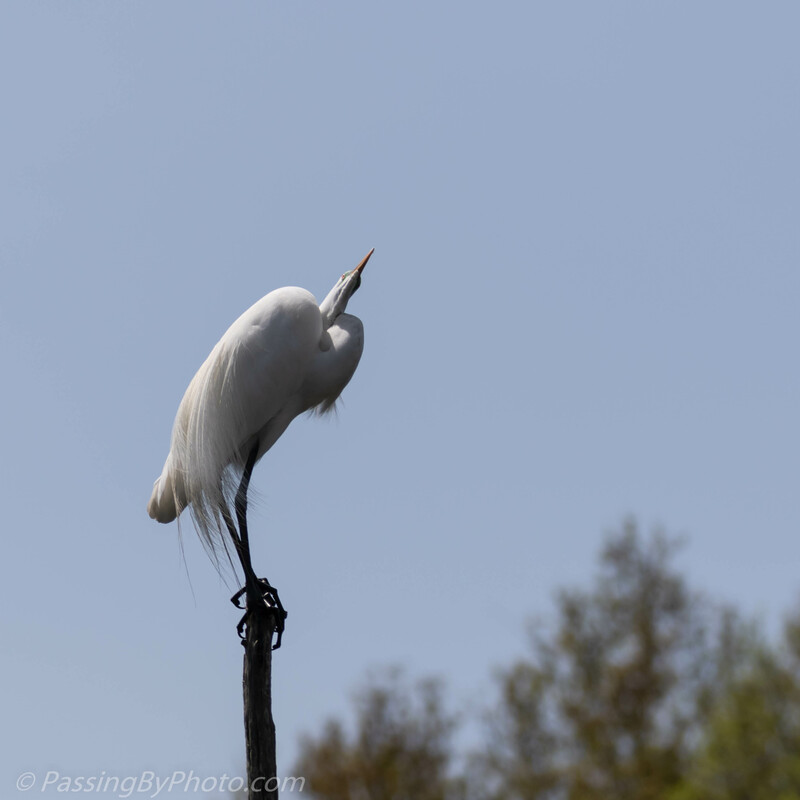 When he settled back down he took a long time adjusting from side to side making me think the eggs might have hatched. 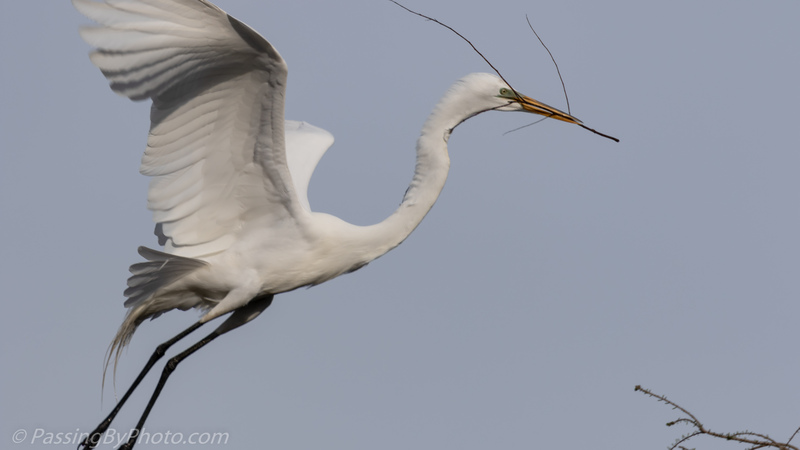 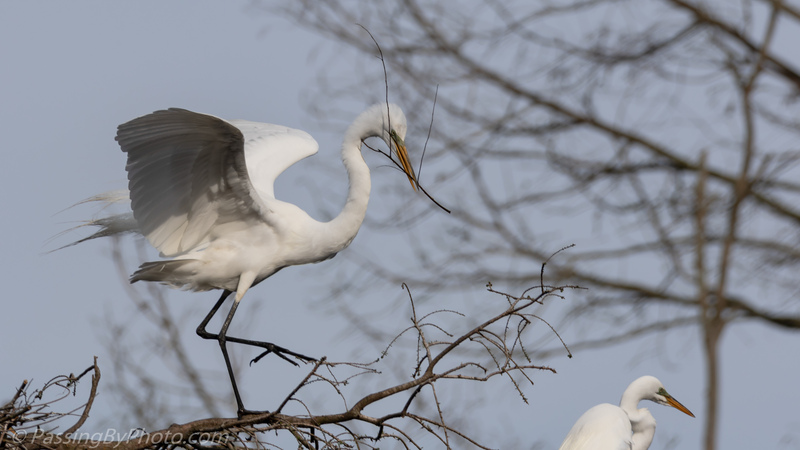 The Great Blue was keenly aware of the Great Egret encroaching on his territory. 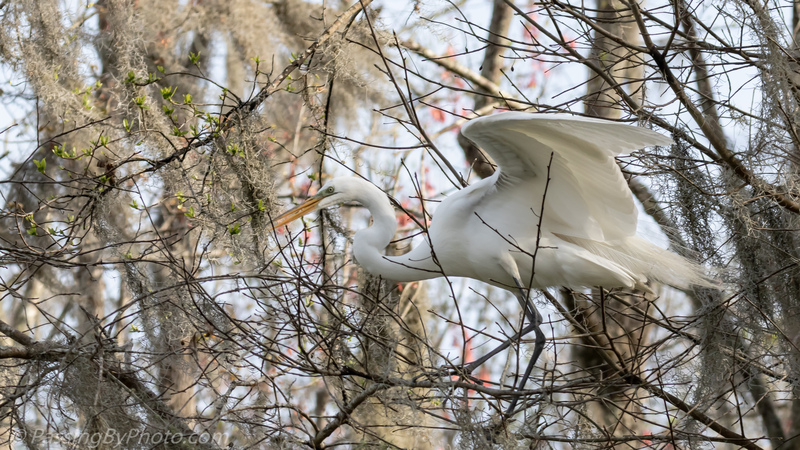 This tree, like past years, has several Great Egret nests and some of the Great Egrets aren’t paired up yet and are searching for nesting spots.